Covering Hertfordshire, Essex and London including Bishop´s Stortford, Harlow, Hertford, Cheshunt, Hornchurch, Ilford, Nazeing, Loughton, Woodford, Wood Green and all surrounding areas. 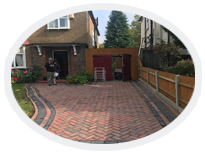 We can improve the character and look of your home by designing and installing either a new block paved driveway, pathways leading to the back of the house, a stunning new patio or erect quality fencing, no job is too big or small. We are a family run team using no outside help, only our own team with our own machinery and tools. 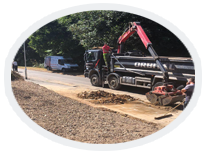 We have been trading in the paving industry for over 15 years and have a wealth of experience completing paving and landscaping projects for both residential and commercial clients. You can find out more information about our company by looking at our Yell and Facebook pages as well as taking a look at the many photos of our completed work. We adhere to the highest standards and strive to give each and every customer the best designs and installations to fulfill your dreams and increase the value of your home at the same time. 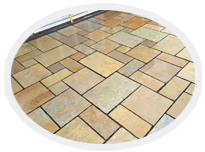 At Majestic Drives & Patios Ltd we do not always need a deposit and our quotations come at affordable prices. Carrying public liability insurance of £2m, all of our work is fully guaranteed. 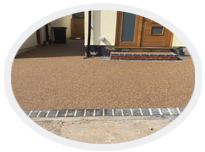 So, for new driveways, new patios or a landscaped garden, call in the experts today. We offer free site visits to discuss your requirements and ideas and offer free advice and guidance, so contact us by calling any of the numbers at the top of the page, we will be glad to help you. &COPY; 2019 Majestic Drives & Patios Ltd.